Miscellaneous notes on vigilante violence in Dublin (1970 – 1984) | Come Here To Me! Occasionally national papers report on incidents of either local residents or striking workers engaged in would be ‘vigilante activity’. Here is a very brief look at some incidents from 1970 – 1984. I’ve purposely omitted stories surrounding the anti-Drugs movement as they really need an articles(s) of their own. Four men, brandishing hammers an an iron bar, leaped from a car and wrrecked the braking systems of the lorries, smashed parts of the engines and ripped open cement bags. In May 1973 in Benburb Street, tenants formed a committee to agitate the council to get the flats there pulled down and replaced with better housing. They blocked the street to draw attention to their plight and formed a vigilante group to prevent robberies and other anti-social acts in the area. In March 1974, Dublin bus men threatened to form ‘vigilante groups’ to ‘provide proper protection for bus crews and stop hooliganism on public transport’. The call came after a sharp increase in attacks on Dublin Bus workers. A mystery group calling itself the ‘Crumlin and Walkinstown Vigilante Group’ claimed responsibility, in October 1982, for a shotgun attack on four men outside a fish and chip shop in Drimnagh. Gardai said that the four men had no connection with the drug business and added they they hadn’t heard of the group. Bertie Ahern, then Fianna Fail chief chip, was widely criticised in April 1983 after he maintained that crime had dropped significantly in one particular area of his Dublin central constituency after certain ‘known criminals’ had been kneecapped. Ringing our bells? 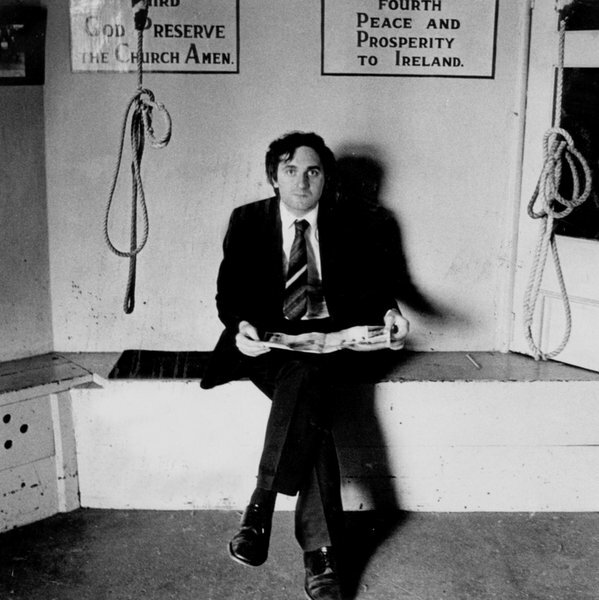 : Bertie Ahern at St George’s Church in Dublin in July 1983.Photograph: Tom Lawlor. (c) The Irish Times. I take the Garda line on this – I tell them that that’s very dangerous. At the same same time they come back a few months later and tell me how they’ve succeeded in cutting down crime in the various areas where they have vigilante groups. It’s hard to keep on saying: “Well it’s not a good idea”. In my own area they’ve taken various actions, some of them I’m totally opposed to. But unfortunately John, I must say that they are quite effective. In one particular part of my constituency, very severe action was taken against known criminals and the area has almost cleaned itself since. His comments were condemned by Ger Doyle of the Association of Garda Sergants and Inspectors. Padraig Yeates in The Irish Times later that month suggested that vigilante groups of some sort existed in a whole range of areas of Dublin, stretching from Manor Street and O’Devaney Gardens to Rialto, Cabra, Finglas, Ballymun, Darndale and Coolock. Apparently one of the largest of these gangs operated in Coolock and had been in existence for nine months, when Yeates interviewed one of its members. During that time it was involved in several clashes with local teenage gangs, and a man associated with the group was beaten last Easter. Later that week another journalist at the same papar, Michael Foley, went down to Rialto to interview local people and could find no evidence of organised vigilante activity. organised one group of vigilantes from South Hill in Limerick and that a Fine Gael TD was doing the same in Crumlin. The campaign involved tenants associations, the Simon Community, the Dublin Travellers’ Committee and the Prisoners’ Rights Organisation. Also speaking at the press conference was Mick Quinlan of the Gay Collective who complained that gay men were widely being harassed and abused by the Gardai. He said that during the Charels Self murder investigation when gays were detained under section 30 of the Offences Against the State Act, the Gardai had built up files on 1,500 gay men. The IRA (Official) had be ordered to intervene in the 1970 cement strike – several incidents like the above occurred. Reblogged this on Paddoconnell's Blog.